Who I Am, Who We Are is an art project which examines the idea of Kenyan nationhood and how this is embodied through our sense of identity and our everyday interactions. The project uses art and self-expression to create spaces and conversations for personal reflection on the themes of citizenry, civic responsibility, race, belonging, ethnicism and nationalism. 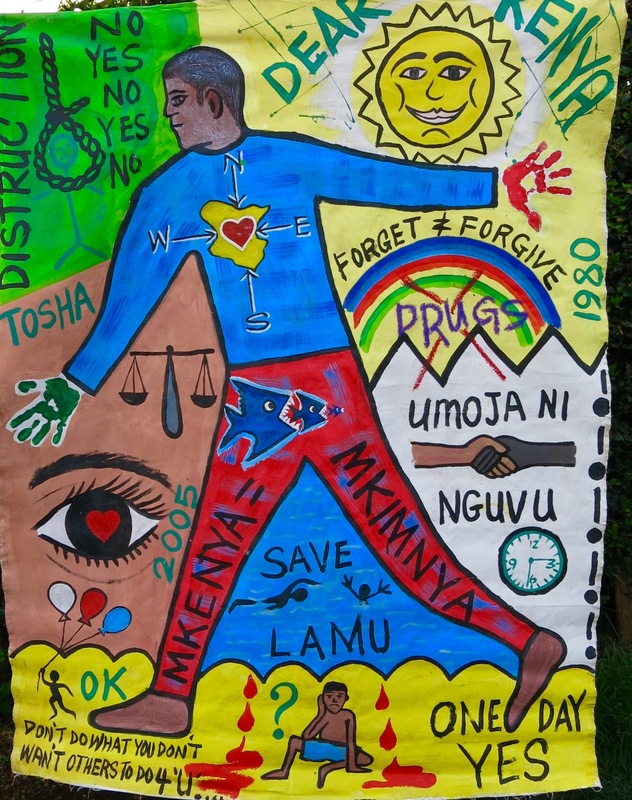 Two artistic approaches were mainly used to gather material on what it means to be Kenyan today. One, in the form of life-size paintings called ‘body maps’ and the other in the form of recorded interviews through a confidential and public installation called, “In a Silent Room.” Who I Am, Who We Are has collected archival material comprising of 80 body maps with their accompanying stories, 1500 audio recorded interviews in the Silent Room, 9 documentaries, 80 interviews and 2000 photographs. This exhibition will showcase a wide range of photographs as well as screen the interviews conducted. The material gathered forms the foundation for an exploration of Kenyan identity, post-colonial thought and projections for the future of Kenya. These materials will be housed in a public archive, allowing Kenyans and those interested in Kenya to access the voices and narratives of those who participated in the project. The exhibition is open from the 15th – 22nd January, Monday to Friday from 1.00 – 6.00 pm. On Tuesday 19th January 2016, 6.00 pm there will be a public discusssion. See also the website and Facebook event.